I’ll admit right from the start that I’m biased. I really believe that every family in the world ought to have a SILVERengines proton in their medicine chest. And yes, while that would also benefit me, it is really one of the ways I hope to bless the world. In case you’ve been out of touch with natural health, “colloidal silver” is a generic term for one of nature’s most powerful antimicrobial agents. It turns out that the average person has a deficiency of silver ions in their body, a lack that can be remedied by drinking nano-scale ions and particles of silver in a solution of distilled water. When ingested, the silver ions disperse throughout your body and attack pathogens of all kinds. You can walk into almost any health-food store, and even some “conventional” pharmacies, and find ready-made colloidal silver available as an “off-the-shelf” product. You can even buy it on http://amazon.com. Are you concerned about the possibility of “turning blue” as a result of using colloidal silver? I’d like to take a few minutes to set your mind at rest in case you’ve been misinformed. Unfortunately, those with an agenda have spread serious misinformation on this topic. There is, sadly, a vast amount of misleading information out there – whether from government sources, internet articles, or even well-intentioned friends – and it would be very unfortunate if you were to let that deprive you of a wonderful and healthful natural supplement like colloidal silver made with your very own SILVERengines proton. FDA Commissioner Hamburg Appointed WHO Deputy? Zero Deaths from Colloidal Silver…Again! The reality is that there have been very few cases of argyria, and those who have developed that rare condition were not taking pure colloidal silver, but rather some form of silver compound. I have personally used home made colloidal silver for more than 20 years, and (so far) have not turned blue. However, in all honesty, back in the “early days” when I was just learning how to make my own nano silver, I (unfortunately) “swallowed” some misinformation from the internet myself, and, for a time, I was making colloidal silver solutions ignorantly using improper methods. I used unregulated batteries and even at times added some salt to the water to “speed up” the process. When a silver solution is made with bad methods, instead of getting pure nano silver as a result, silver chloride or silver nitrate or other silver compounds may be created, and these are the compounds that may, eventually, lead to argyria. And so, although I have never turned blue, the moons of my fingernails have become slightly darkened. This is why I have so carefully designed the SILVERengines proton so that it will not operate with contaminated water! Your SILVERengines proton tests the water *every time it starts up* in order to ensure that you are using pure, distilled water. If the proton detects contaminants in the water, it turns itself off and rapidly flashes a RED or PINK indicator so that you know the water is unacceptable. This is for your protection, so that you will not consume any of the non-beneficial silver compounds. 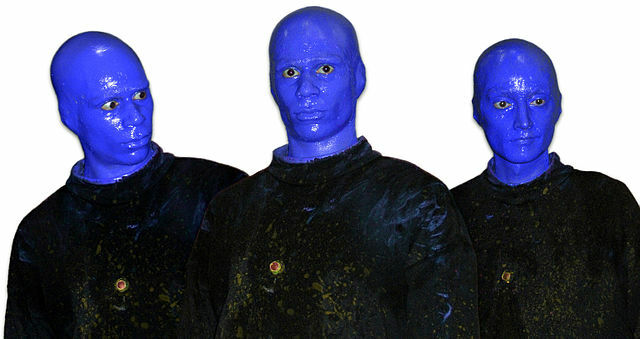 There are varying opinions as to whether the pure, elemental nano silver such as the SILVERengines proton produces can possibly result in a case of argyria, or “blue-man” syndrome. As you can see from the above article, even those who believe that it is possible for pure silver to cause argyria point out that you would have to consume about 24 gallons within a single year for this to happen. You may also want to read this copy of the Altman Study, in which Roger Altman documents the results of his experiments which prove that silver consumed does not remain in the body. 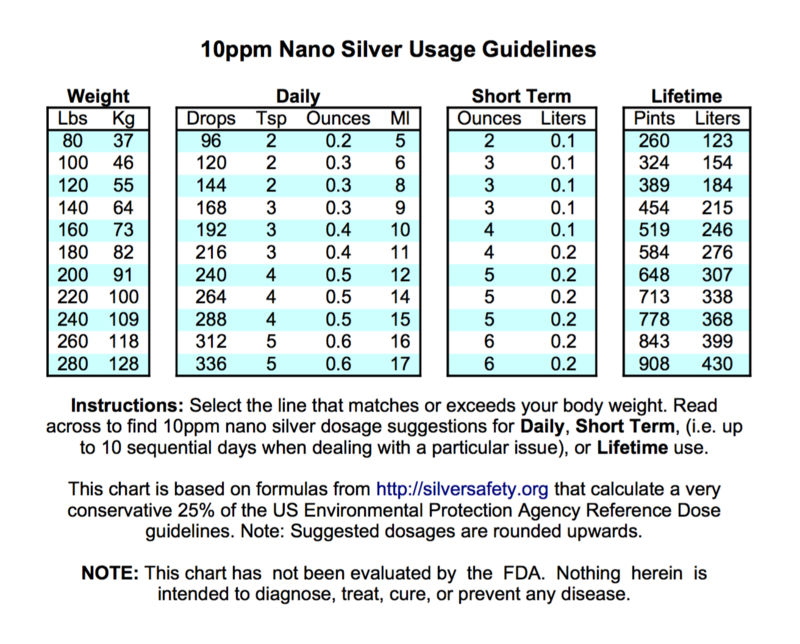 You may also appreciate this convenient dosage chart, based on the information available in detail at http://silversafety.org which has used EPA guidelines to recommend very conservative dosages of nano silver. I hope my comments and the reference articles I’ve provided might set your mind at ease on the matter. Used responsibly, colloidal silver has never harmed anyone nor caused them to turn blue, but it has positively benefited many thousands.